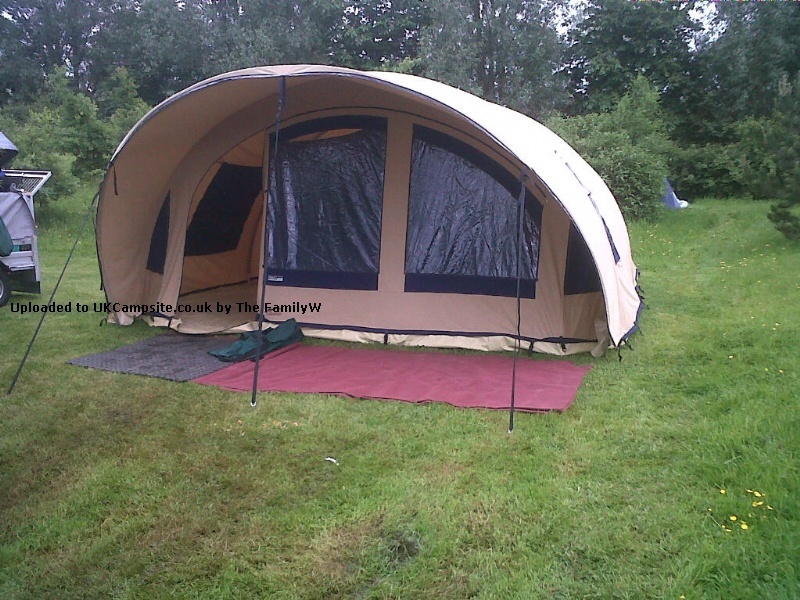 At last we had a chance to put this tent to the test. I had wanted, no, coveted a Cabanon tent for a few years and would have liked to have taken it over the water to France for its first outing. However for various reasons this year Cornwall was the destination of choice. It sets up with ease IF 2 adults know what they are doing and the weather is with them. I watched the video many times over the winter. 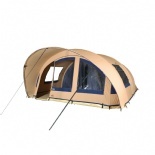 The materials are robust and very weatherproof. It didn't rustle in the wind and there was a great deal of that. It also coped with the rain and there was a great deal of that as well. 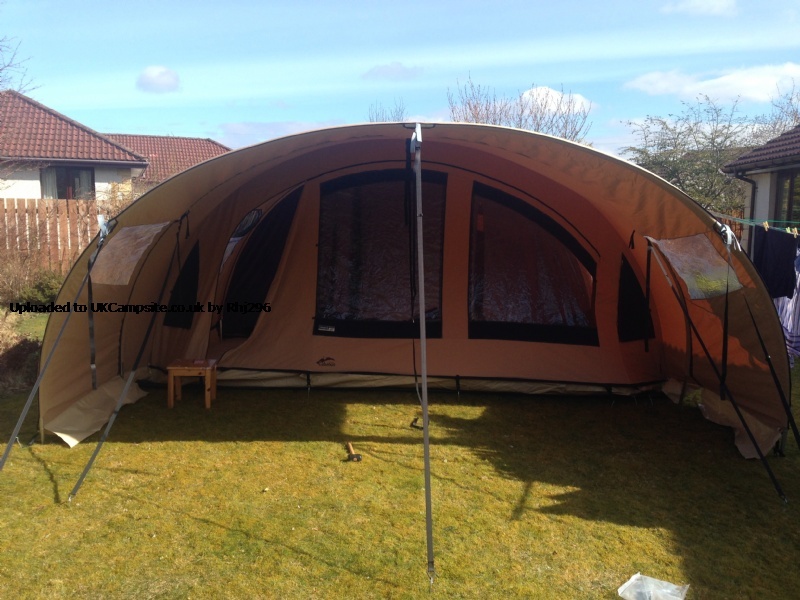 I liked the idea of being able to fully open the front and sit under the additional canopy on those few sunny days. We had concerns about the light weight blue cotton bedroom pods but these proved to be excellent and the colour is great for sleeping in. 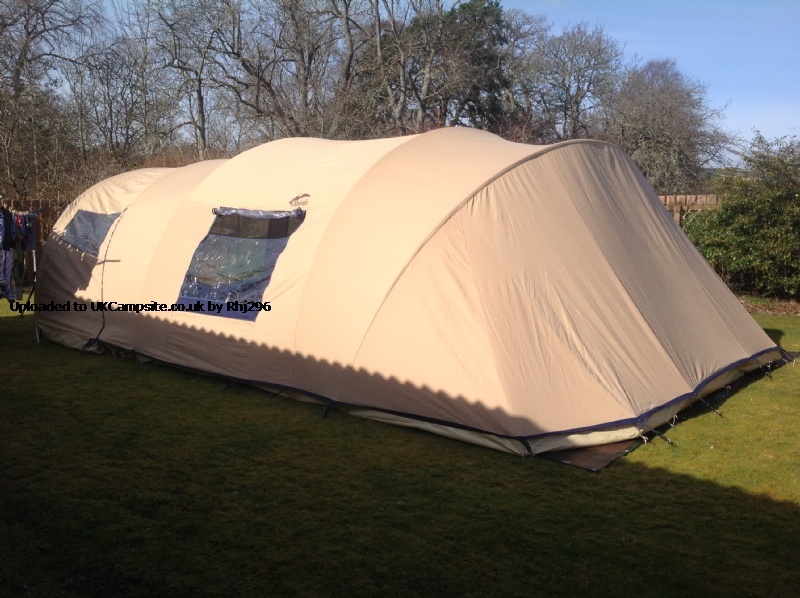 We used a carpet for the floor to make the groundsheet more cosy underfoot and comfortable to walk on. There were 3 of us in the tent with loads of space. 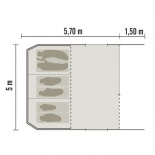 My son had the smaller bedroom pod and we opened up the double pod into one area. The tent is heavy but we managed it and although it was soaking when we packed it away it went into its sack with ease. In comparison to our previous tent we found the lack of things like drying rails, storage pockets and an anchor point for a light to be quickly evident but not enough to mark down as a major issue. 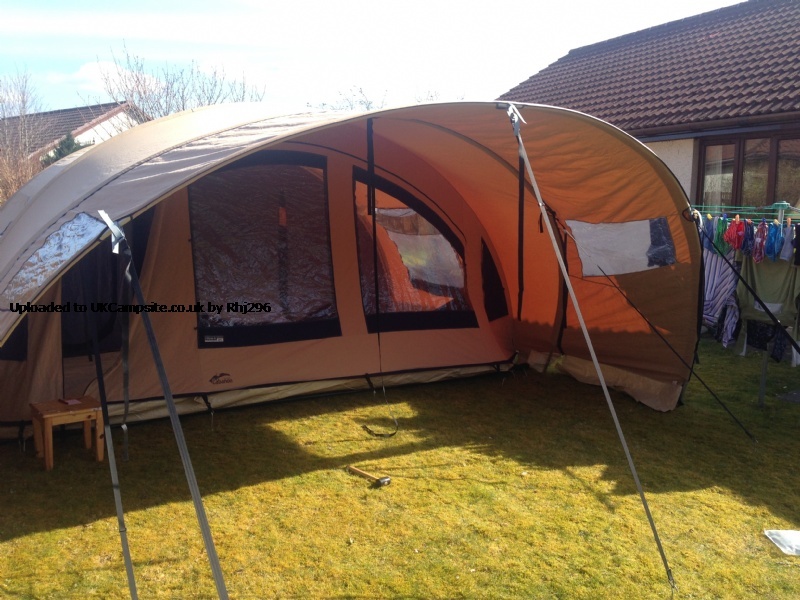 It is a very substantial tent and it lived up to my expectations. My son said that it felt more like home because of the spaciousness of it and the warm colour. Before opening the curtains in the morning every day looked like the sun was shining. Great top quality tent. Perfect in all weathers. Loads of space and fantastically made. Had ours for over 3 years now and despite it being well used it still looks brand new. Only downside is its size meaning when we use it, it tends to be for weeks away rather than a night as it's not something you can quickly chuck in the boot of the car. It's large, It's Expensive and its worth every square foot. Quality, easy of use, materials and looks. Whilst for most this is a massive investment - as we did, it has been worth it. For a a family of 5 it the best use of space. 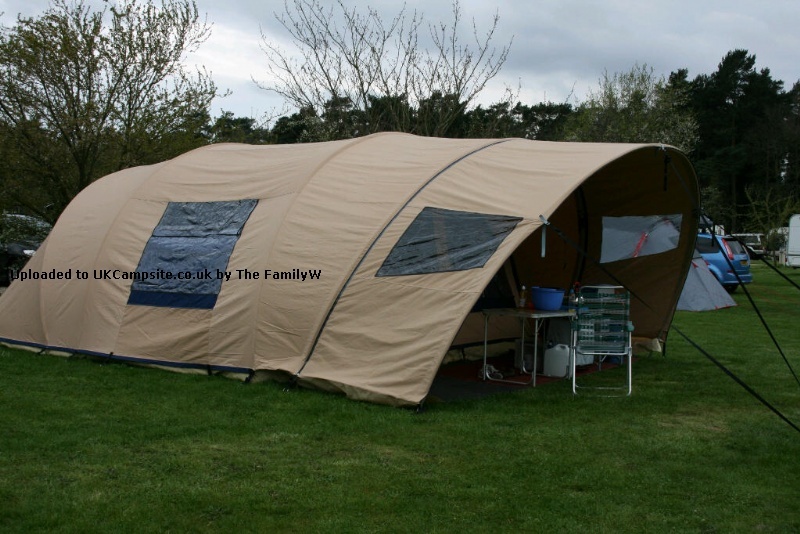 We purchased the tent along with the sun canopy which adds another 1.5m which is where we cook from and store all the other bits. 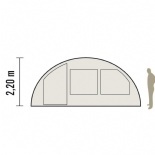 Ten year plan of use minimum and the tent is great value for the size etc. The room is second to non on the market, it dwarfs who ever is next to us and may stop to comment and look in. With 5 in our family the space especially in wet weather is fantastic. In dry hot weather the whole front un-zips and rolls to the side. We have camped in the UK with in in constant rain, wind, minus 5, to 30plus and we love it. Add your review of the Awaya 500! This very spacious tent, made from waterproof and very breathable cotton, will provide perfect comfort for those great camping moments. The AWAYA 500 has 3 interior tents forming separate big sleeping areas and a huge light-filled living area thanks to the big openings. Zippered roll-away front to make the most of the fresh air. Completely waterproof and tear-proof integral groundsheet. Multiple storage pockets sewn into the canvas. 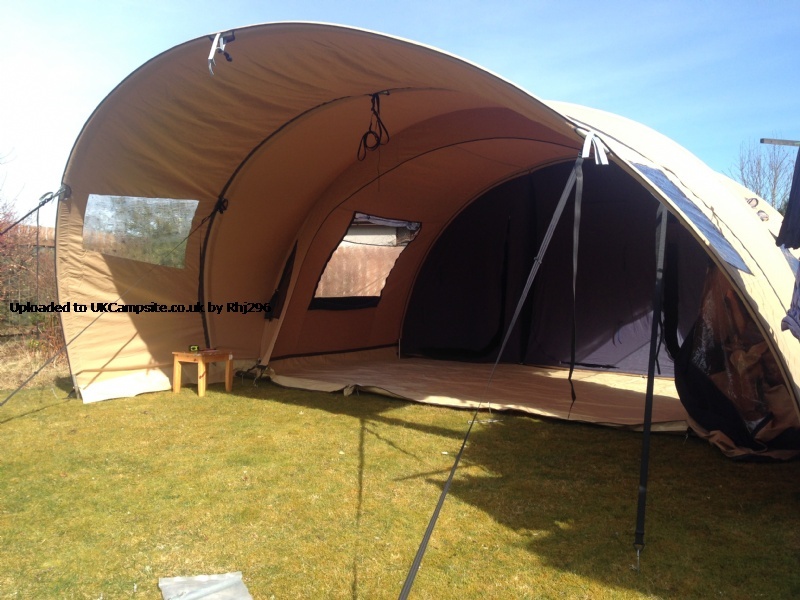 Simple assembly of the tent with its identically-sized aluminium hoops, held in place with zippered channels.